Southwest Neighborhood Library is located in a changing neighborhood in Southwest Washington, DC, not far from the new Waterfront development. 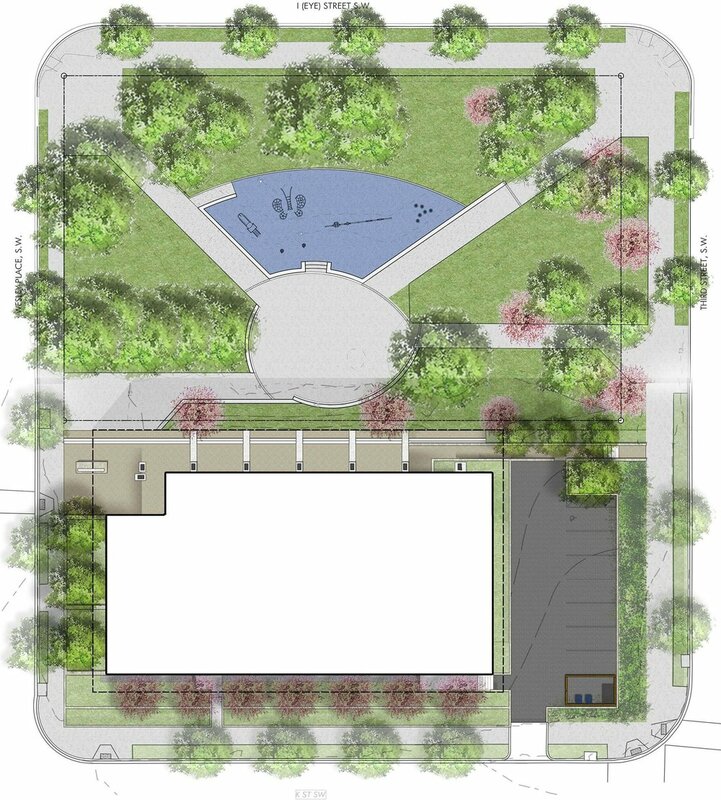 The landscape scope for this project includes an outdoor entry space, a terraced porch area, bioretention planting, extensive green roofs, and a new parking lot. 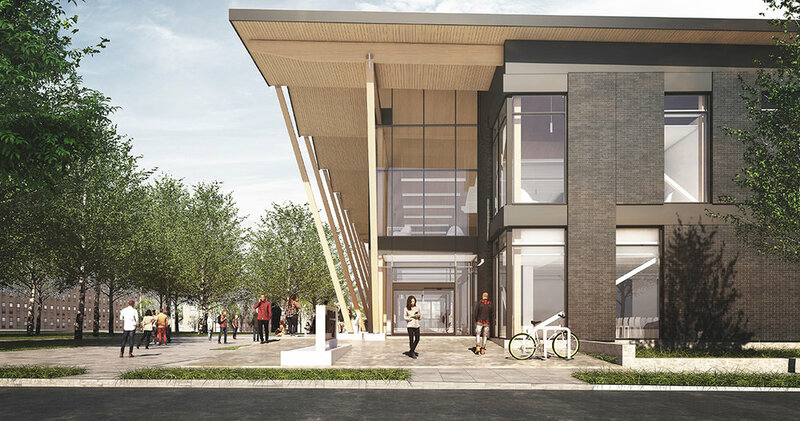 LAB worked with the architects to optimize the library’s connection to two nearby park spaces, including 3rd and I Street Park, which lies directly to the north of the site and was largely neglected by the original library building. The new design approach opens the library to this park by locating the main entrance at the building’s northwest corner and reorienting the building, along with the new porch terrace, towards the park itself. The terrace’s northern edge is articulated as a long series of steps that both encourage access to the park and provide a small amount of prospect – a perfect place for reading, meeting, and conversing. The deep porch terrace also acts as a path through the city block itself, strengthening an existing urban pathway that links a series of nearby park spaces throughout the neighborhood, and further activating the terrace space. The remaining landscaped areas around the building include a series of walled bioretention planters that house native planting and treat stormwater captured from the building’s roof. A newly-renovated parking lot, loading dock, and dumpster storage area at the east side of the building is screened by a series of carefully preserved existing hedges along with several new planted areas. The library, designed to LEED Gold standards, incorporates a series of innovative architectural components as well as a large extensive green roof which further reduces runoff during storm events.